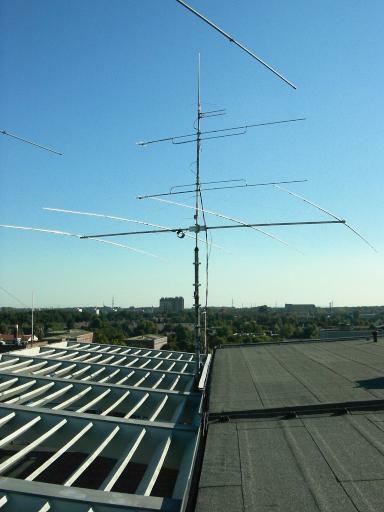 The new mast with the 4-element beam for 28 MHz on the roof at DL0DX. 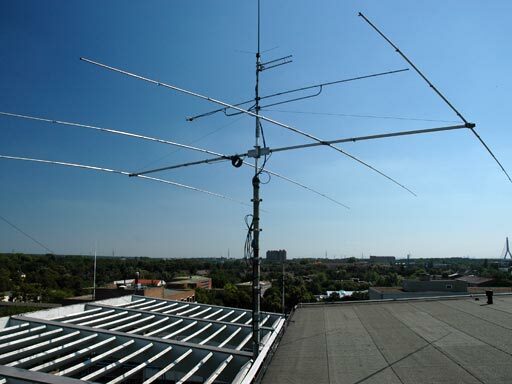 over it is the 11-element yagi for 2 m.
The four-element beam for 14 MHz, over it is one 23-element yagi for 70 cm, over it is the yagi for 23 cm. 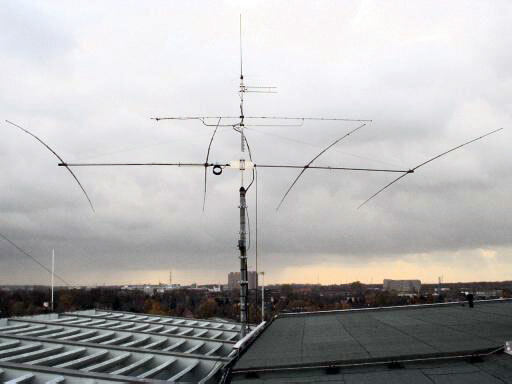 On the top is the vertical antenna for 2 m and 70 cm. 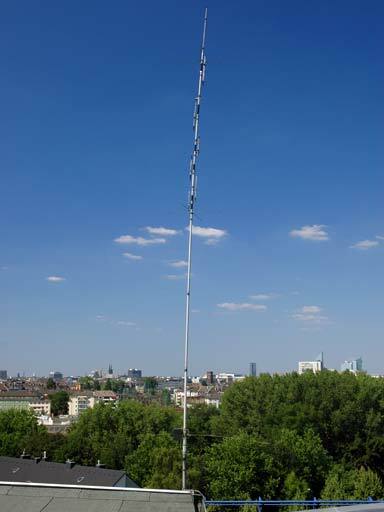 Groundplane for the bands 10, 12, 15, 17, 20, 30 and 40 meter. 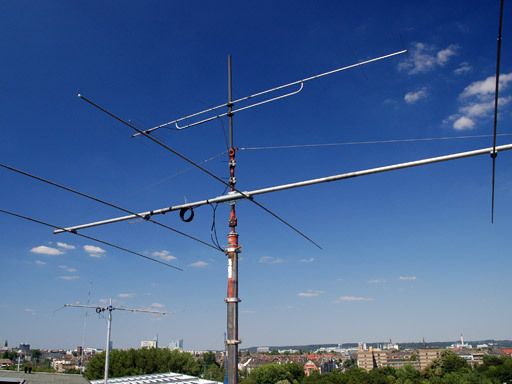 The vertical Cushcraft R7 antenna for 7, 10, 14, 18, 21, 24 and 28 MHz. 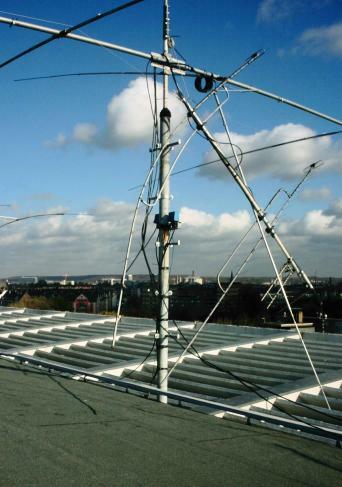 Three dipole antennas are stretched to a adjacent building, each one for 1.8, 3.5 and 7 MHz. 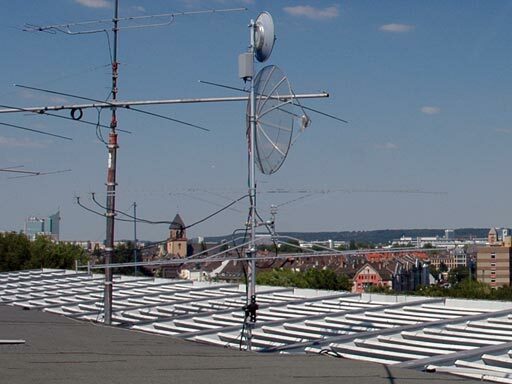 Overview about the antenna masts on the roof at DL0DX, captured in July 2006.
over it is the yagi for 23 cm. 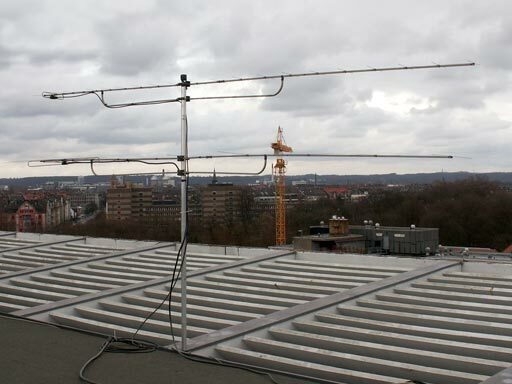 On the top is the vertical antenna for 2 m and 70 cm. The 20-meter-beam on the day after "Jeanette". 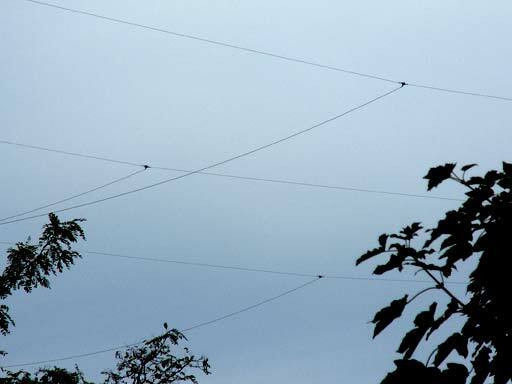 Two days after "Jeanette": The antennas stand again! over it a 60 cm parabolic reflector for 10 GHz. 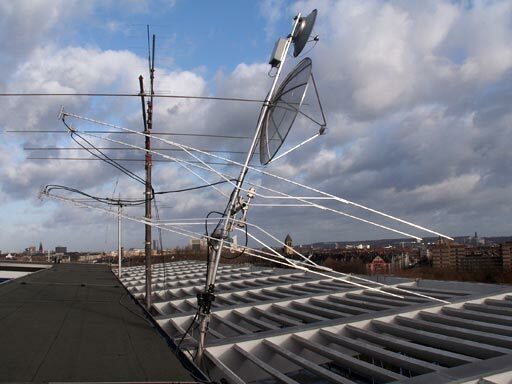 Mast and mast extension both are twisted, the lightning conductor is broken off. 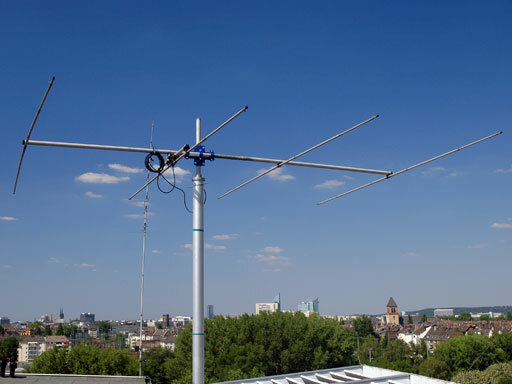 To be able to take part on a contest at the 2-meter- and 70-centimeter-bands, at the place of the broken microwave mast a mast with a 11-element yagi for 2 m and a 23-element yagi for 70 cm was build temporarily. 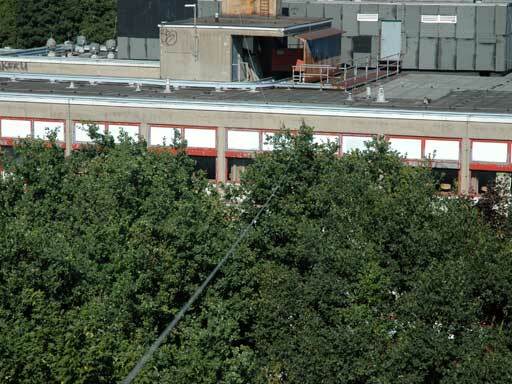 The low-pressure area "Ela" in June 2014 causes many damages in North Rhine-Westphalia, many trees were uprooted. 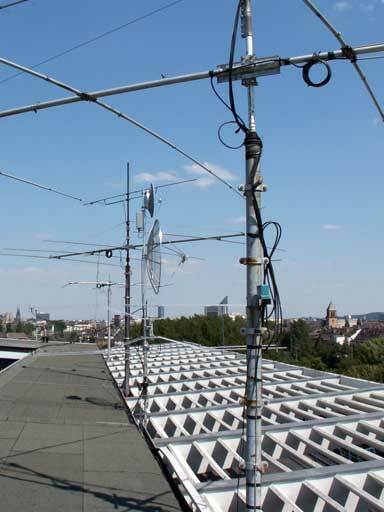 The antennas at the club station got nothing this time, nothing got broken.